Kendall Volkswagen of Bend is excited to offer this 2019 Volkswagen Jetta. This is the one. Just what you've been looking for. Just what you've been looking for. With quality in mind, this vehicle is the perfect addition to take home. You could keep looking, but why? You've found the perfect vehicle right here. The Volkswagen Jetta S will provide you with everything you have always wanted in a car -- Quality, Reliability, and Character. This outstanding example of a 2019 Volkswagen Jetta S is offered by Kendall Volkswagen of Bend. You could keep looking, but why? You've found the perfect vehicle right here. Beautiful color combination with White Silver Metallic exterior over Titan Black interior making this the one to own! The look is unmistakably Volkswagen, the smooth contours and cutting-edge technology of this Volkswagen Jetta S will definitely turn heads. Based on the superb condition of this vehicle, along with the options and color, this Volkswagen Jetta S is sure to sell fast. Contact Kendall Volkswagen of Bend today for information on dozens of vehicles like this 2018 Volkswagen Golf SE. This is about the time when you're saying it is too good to be true, and let us be the one's to tell you, it is absolutely true. Just what you've been looking for. With quality in mind, this vehicle is the perfect addition to take home. You can finally stop searching... You've found the one you've been looking for. Based on the superb condition of this vehicle, along with the options and color, this Volkswagen Golf SE is sure to sell fast. Contact Kendall Volkswagen of Bend today for information on dozens of vehicles like this 2019 Volkswagen Jetta SE. The Volkswagen Jetta SE will provide you with everything you have always wanted in a car -- Quality, Reliability, and Character. Just what you've been looking for. With quality in mind, this vehicle is the perfect addition to take home. The look is unmistakably Volkswagen, the smooth contours and cutting-edge technology of this Volkswagen Jetta SE will definitely turn heads. Beautiful color combination with White Silver Metallic exterior over BLACK interior making this the one to own! This 2019 Volkswagen Passat 2.0T Wolfsburg Edition is proudly offered by Kendall Volkswagen of Bend Stylish and fuel efficient. It's the perfect vehicle for keeping your fuel costs down and your driving enjoying up. Beautiful color combination with Platinum Gray Metallic exterior over Moonrock Gray interior making this the one to own! This is the one. Just what you've been looking for. The Volkswagen Passat 2.0T Wolfsburg Edition will provide you with everything you have always wanted in a car -- Quality, Reliability, and Character. Contact Kendall Volkswagen of Bend today for information on dozens of vehicles like this 2019 Volkswagen Passat 2.0T Wolfsburg Edition. Everyone hates the gas pump. Skip a few gas stations with this super fuel efficient VolkswagenPassat. You can finally stop searching... You've found the one you've been looking for. This is about the time when you're saying it is too good to be true, and let us be the one's to tell you, it is absolutely true. The look is unmistakably Volkswagen, the smooth contours and cutting-edge technology of this Volkswagen Passat 2.0T Wolfsburg Edition will definitely turn heads. Contact Kendall Volkswagen of Bend today for information on dozens of vehicles like this 2019 Volkswagen Jetta SEL. You can finally stop searching... You've found the one you've been looking for. There is no reason why you shouldn't buy this Volkswagen Jetta SEL. It is incomparable for the price and quality. You could keep looking, but why? You've found the perfect vehicle right here. Just what you've been looking for. With quality in mind, this vehicle is the perfect addition to take home. Contact Kendall Volkswagen of Bend today for information on dozens of vehicles like this 2019 Volkswagen Jetta SEL. Just what you've been looking for. With quality in mind, this vehicle is the perfect addition to take home. You could keep looking, but why? You've found the perfect vehicle right here. There is no reason why you shouldn't buy this Volkswagen Jetta SEL. It is incomparable for the price and quality. Beautiful color combination with Pure White exterior over Titan Black interior making this the one to own! Kendall Volkswagen of Bend is excited to offer this 2019 Volkswagen Passat. Save money at the pump with this fuel-sipping Volkswagen Passat. Beautiful color combination with Reflex Silver Metallic exterior over Titan Black interior making this the one to own! This vehicle won't last long, take it home today. You can finally stop searching... You've found the one you've been looking for. This outstanding example of a 2019 Volkswagen Passat 2.0T Wolfsburg Edition is offered by Kendall Volkswagen of Bend. Stylish and fuel efficient. It's the perfect vehicle for keeping your fuel costs down and your driving enjoying up. You can finally stop searching... You've found the one you've been looking for. This is the one. Just what you've been looking for. The look is unmistakably Volkswagen, the smooth contours and cutting-edge technology of this Volkswagen Passat 2.0T Wolfsburg Edition will definitely turn heads. This 2019 Volkswagen Passat 2.0T Wolfsburg Edition is proudly offered by Kendall Volkswagen of Bend Everyone hates the gas pump. Skip a few gas stations with this super fuel efficient VolkswagenPassat. You could keep looking, but why? You've found the perfect vehicle right here. Beautiful color combination with Deep Black Pearl Metallic exterior over Titan Black interior making this the one to own! This vehicle won't last long, take it home today. Contact Kendall Volkswagen of Bend today for information on dozens of vehicles like this 2019 Volkswagen Jetta SEL. This is the one. Just what you've been looking for. Beautiful color combination with Blue Silk Metallic exterior over Titan Black interior making this the one to own! The 2019 Volkswagen exterior is finished in a breathtaking Blue Silk Metallic, while being complemented by such a gorgeous Titan Black interior. This color combination is stunning and absolutely beautiful! This is about the time when you're saying it is too good to be true, and let us be the one's to tell you, it is absolutely true. This 2018 Volkswagen Passat V6 GT is proudly offered by Kendall Volkswagen of Bend You could keep looking, but why? You've found the perfect vehicle right here. The 2018 Volkswagen exterior is finished in a breathtaking Deep Black Pearl, while being complemented by such a gorgeous TITAN BLACK interior. This color combination is stunning and absolutely beautiful! This is about the time when you're saying it is too good to be true, and let us be the one's to tell you, it is absolutely true. The look is unmistakably Volkswagen, the smooth contours and cutting-edge technology of this Volkswagen Passat V6 GT will definitely turn heads. This outstanding example of a 2019 Volkswagen Tiguan S is offered by Kendall Volkswagen of Bend. Want more room? Want more style? 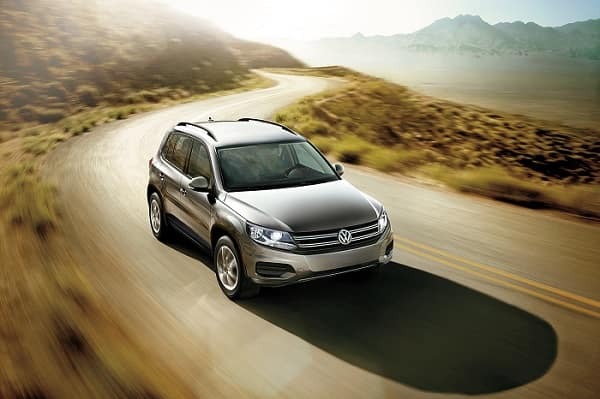 This Volkswagen Tiguan is the vehicle for you. Hit the gas pedal and put the engine power to all four wheels. With AWD, you'll have the greater performance right off the line, everytime you drive. Look no further, you have found exactly what you've been looking for. You could keep looking, but why? You've found the perfect vehicle right here. This outstanding example of a 2019 Volkswagen Beetle SE is offered by Kendall Volkswagen of Bend. This is the one. Just what you've been looking for. You can finally stop searching... You've found the one you've been looking for. The look is unmistakably Volkswagen, the smooth contours and cutting-edge technology of this Volkswagen Beetle SE will definitely turn heads. Just what you've been looking for. With quality in mind, this vehicle is the perfect addition to take home. This 2019 Volkswagen Golf GTI S is offered to you for sale by Kendall Volkswagen of Bend. This is about the time when you're saying it is too good to be true, and let us be the one's to tell you, it is absolutely true. Based on the superb condition of this vehicle, along with the options and color, this Volkswagen Golf GTI S is sure to sell fast. Just what you've been looking for. With quality in mind, this vehicle is the perfect addition to take home. There is no reason why you shouldn't buy this Volkswagen Golf GTI S. It is incomparable for the price and quality. This 2019 Volkswagen Tiguan SE is offered to you for sale by Kendall Volkswagen of Bend. Want more room? Want more style? This Volkswagen Tiguan is the vehicle for you. Take home this 2019 Volkswagen Tiguan and enjoy the safety and added performance of AWD. The look is unmistakably Volkswagen, the smooth contours and cutting-edge technology of this Volkswagen Tiguan SE will definitely turn heads. Just what you've been looking for. With quality in mind, this vehicle is the perfect addition to take home. Are you shopping for a new Volkswagen car or SUV? 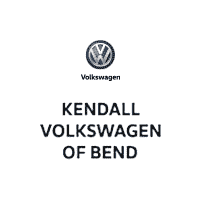 With the help of the staff at Kendall Volkswagen of Bend, we can help you find a Volkswagen that fits your lifestyle and budget in a new VW car or SUV. Check out our popular models like the new Volkswagen Jetta, Volkswagen Passat, and many more. Learn more about our new Volkswagen cars and other services at Kendall Volkswagen of Bend by getting in touch with our sales team! Contact us online to see how we can help you get behind the wheel of the perfect Volkswagen for you. We look forward to hearing from you and helping you during your next visit to your nearby VW dealership, serving the La Pine and Sisters areas. Find your new car or SUV when you shop our new Volkswagen cars and SUVs in Bend, Oregon. With a variety of options for your new Volkswagen, the staff at Kendall Volkswagen of Bend can find a new car that suits you. While you’re here, take the time to explore our like-new Certified Pre-Owned Volkswagen cars or our inventory or used cars. Go big or go home. Or instead we should say, go big and go home with a big Volkswagen SUV. You’ll find that these new VW SUVs for sale have the available space you need to fit you, your crew, and everything you need on all your weekend excursions. Shop for the new Volkswagen Tiguan and Volkswagen Atlas at Kendall Volkswagen of Bend, where our knowledgeable sales staff can show you the ins and outs of these midsize SUVs that feel much larger than mid-sized. Contact us online, by phone, or come on by your nearby Volkswagen dealership to schedule a test drive of any of our new Volkswagen cars for sale in Bend, Oregon. We look forward to seeing you!